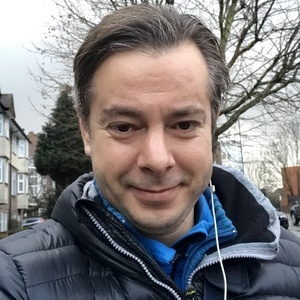 Christian Vinante Giovannini was the Conservative and Unionist Party candidate in Brentford in the Hounslow local election. Our volunteers have been adding information on Christian Vinante Giovannini - here's everything we know so far! Christian Vinante Giovannini was the Conservative and Unionist Party candidate. Find out more about their policies from the Conservative and Unionist Party Hounslow local election Local manifesto. I am honoured to have been selected as Candidate for Councillor for Brentford, a wonderful place where I have been living for the past 3 years. I previously lived in the confining ward of Chiswick for 8 years. By profession, I am a singer, presenter and events organiser. I have been working in some of the top venues in London such as the Millennium Hotels, Harrods, Cafe Royal and I am also proud of having done some events for Scotland Yard, The City of London Police, Barclays Bank, NatWest, Kings College and The London School of Commerce. For the last four years I have been campaigning for the Conservative Party widely all over London and I am now pleased to be able to concentrate my efforts in Brentford. I believe that Brentford is one of the most beautiful areas in London, especially the riverside and I will do my best to keep the area as it is and even trying to improve the living standards here. I have been shocked at the level of rough sleeping has also risen in Brentford, and while I believe there are many services aimed at preventing it, much more can be done. I am doing some voluntary work at various churches and I noticed that one of the reasons that some homeless people do not sleep in the various shelters is because they have Alcohol and Drugs related problems often caused by Mental health issues related to a traumatic past. I believe that there should be more services and locations where these unfortunate people can seek help. I am also involved in The Gunnersbury Park Campaign which aims at reducing the commercialisation of the park to the extreme. Lately, the park has been transformed into a building site and in the future it seems like it will not been used as a place for leisure and relaxation for the residents but more as a business-focused events location, attracting big crowds at concerts and wider events, which will in my opinion disrupt the quiet lives of the residents. Also, I do not believe that a non-local company instead of a local-related business should run the park café. I would also like to be very involved in the regeneration of Brentford High Street. I think it is right that the local businesses and residents have to be afforded the right to have a business in the future redeveloped area. In the area between Kew Bridge and Market Place, there has recently been a huge development in new housing and many new people have moved to the area in the last 4 years and I also really hope to engage with them. By way of personal background, I took Business and IT Studies at Newham College and these added to my Tourism Commerce studies in Italy at “Arcivescovile” College in Trentino. Afterwards I did a few years of private tuitions in Singing and Events Management alongside many professionals. A lot of my personal studies are spent on Religion, Spirituality and Politics, including research travel to Lourdes, St Maximine and Glastonbury. I look forward to doing my best to become a Brentford Ward councillor to represent you and the interests of all Brentford residents. This statement was added by Christian Vinante Giovannini, their team, or by a Democracy Club volunteer, based on information published by the candidate elsewhere. Christian Vinante Giovannini's local party is the Brentford and Isleworth Conservatives. If you can add information that should be on this page - such as Christian Vinante Giovannini's CV, email, homepage, twitter account please use our crowdsourcing website to add it.